If you are unfamiliar with Frances Hodgson Burnett’s famous book, The Secret Garden, it tells the story of some children who discover, as the title indicates, a secret garden that seems to have otherworldly and magical powers. Thanks to the place’s enchanting qualities, the main characters escape their everyday lives and find their spirits lifted. 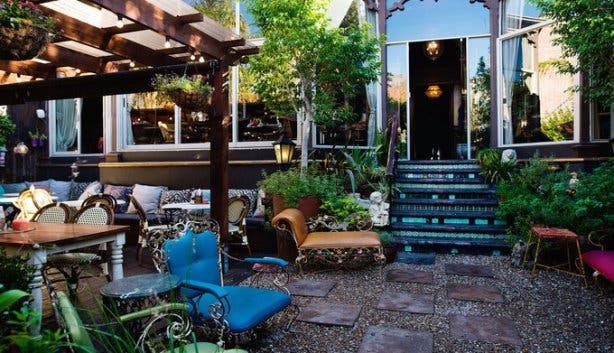 Well, after visiting Kloof Street House in Cape Town, I felt as though I had stumbled upon a similar space, a space that truly deserves a title that is often used but is seldom true in the restaurant business: a hidden gem. I was thrilled to have discovered it. 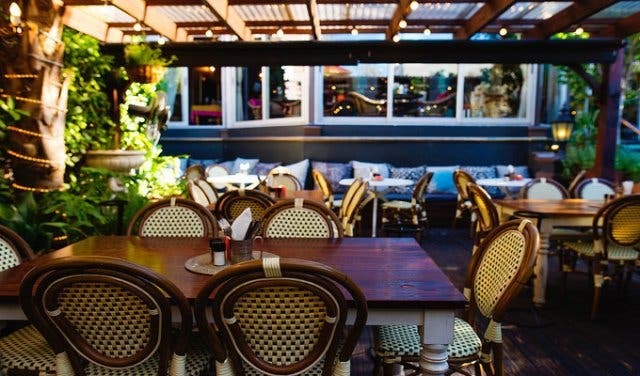 The restaurant’s entrance is nearly invisible among the cluttered and bustling Kloof Street’s crush of businesses (it’s just after the Spar supermarket if you are coming from Long Street). For those not aware of its existence, you’d be forgiven if you casually strolled by, but you will, unknowingly, be doing yourself a disservice and depriving yourself of a special dining experience. Walking up the stairs towards the elegant Victorian-era house is quite an experience in and of itself: as you ascend you are almost immediately flanked by an outside dining area that is populated by a variety of tables - think mosaic-style, wooden and wrought iron - wicker chairs, a Grecian–style fountain and a caged yellow beaded canary amongst other quirky bits and bobs. But it’s not just the aesthetic of the garden that delighted me; the partially covered outside area combined with the shrubbery creates a sense of seclusion that makes you forget that you are just a few metres away from the volatile skateboarders, frenetic business folk and entitled hipsters, a few of which probably own yellow beaded canary brooches, who trawl Kloof Street. 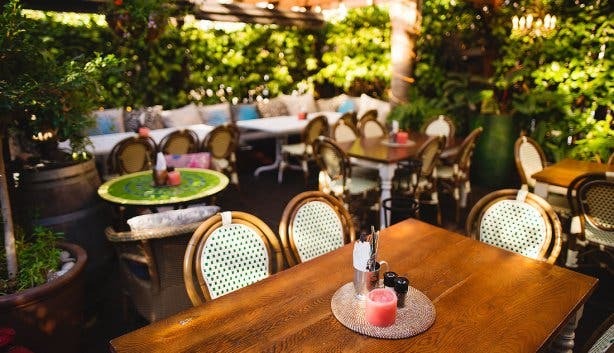 Side note: the outside space is ideal for lunch meetings, after-work drinks or a romantic dinner during the balmy summer months. Inside, my tale of discovery continued to unravel. 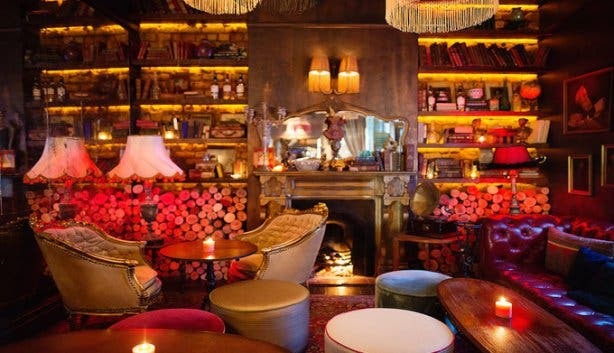 Best described as a fictional creative collaboration between Downton Abbey’s Earl of Grantham and Vladimir Tretchikoff (with suggestions from Frida Kahlo), the interior is rather eclectic, to say the least. My first stop is the lounge area, which is anchored by burgundy Chesterfield couches, where I had a quick conversation with the restaurant's owner, Paul Hetreed, who told who told me about Kloof Street House’s mission to serve elegant but unpretentious dishes (more on the food a little later). We’re surrounded by a bold bookshelf that is stacked with encyclopaedias, various vases, gold cherub ornaments, tiny clocks and a marionette that is dangling from the upper left corner. 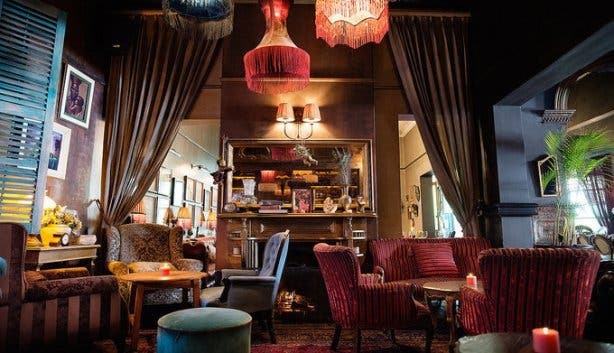 Adjacent to this area is the expansive bar, which is built up by a number of vintage leather suitcases. Just how many suitcases, you ask? Well, Google “Mariah +Carey+ luggage” to get an idea. On top, large gramophones seem to play silent tunes for an audience of booze bottles. In short, the space has a comforting old-world charm to it. This diverse but cohesive aesthetic spills out into the dining areas as well: Tretchikoff prints, clusters of mirrors, historical images of Cape Town suburbs and Dan Hillier-esque human/animal hybrid portraits, amongst other details, all adorn the walls. I was told that the space is altered every now and then as the interior decorator will casually pop in to add or remove elements. Later that evening, my partner and I popped in for dinner, and the space was bathed in candlelight. It’s the type of glow that makes everyone look a little more attractive and some of the decorative masks a little more ominous. A perfect combination, if you ask me. It wasn’t long before our super friendly waitron, Melanie, told us that the chef was whipping up a few courses for us, some of which aren’t on the menu just yet. The seared tuna in a herb crust; baked camembert served with a beetroot, cranberry and onion chutney; and the steak tartare were all made to perfection. But the highlight, for me, was the chocolate fondant accompanied by a homemade marshmallow ice cream; the dessert was so delicious that not even a man with a Rod Stewart-style mullet at the table next to us could ruin our dining experience. 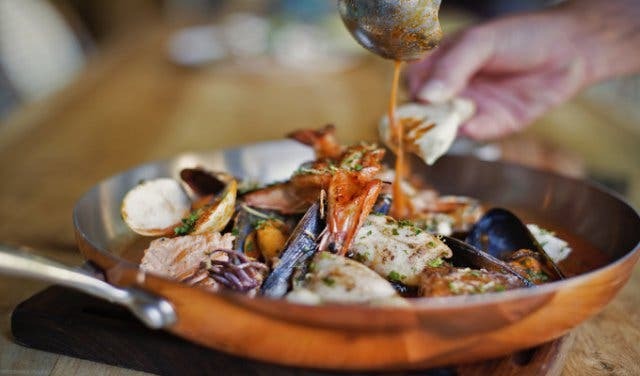 Other standouts on Kloof Street House’s menu include the Ossobucco, bouillabaisse, Ostrich fillet with butternut purée and the salted caramel cheesecake with popcorn ice-cream. So, if you haven’t stumbled across this hidden gem, it would certainly be worth your while as it is a magical little spot that, much like The Secret Garden, will lift your spirit and probably change your mindset. 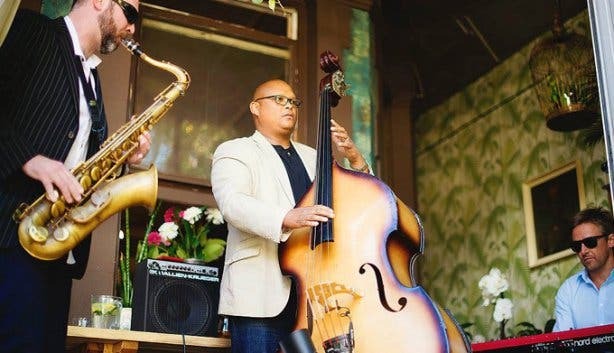 Tip: Kloof Street House hosts a super cool jazz afternoon every Sunday afternoon from 1pm-3pm. 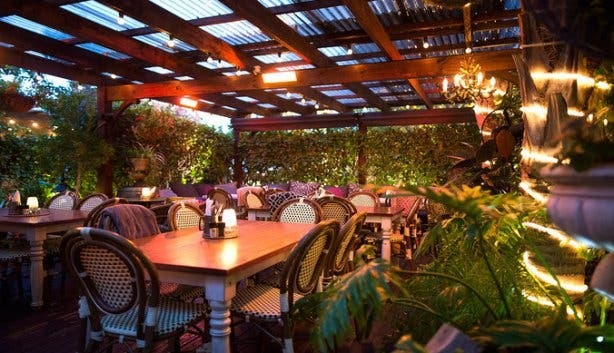 One of the restaurant’s verandas is transformed into a little stage for the band, and patrons can enjoy the smooth tunes while sipping on cocktails or indulging in a light meal in the pretty garden. The Bill: The prices are on the upmarket side of things, but considering the quality and generous portions, it’s well worth your hard-earned pennies. Starters range between R70 and R135, salads between R50 and R110, the lunch menu will cost between R60 and R130, while mains will set you back anything from R125 to R245 and desserts (remember the chocolate fondant?) cost between R70 and R145 for a serving for two. The restaurant also offers great specials perfect for both a quick bite in your lunch break or a leisurely afternoon with family and friends. 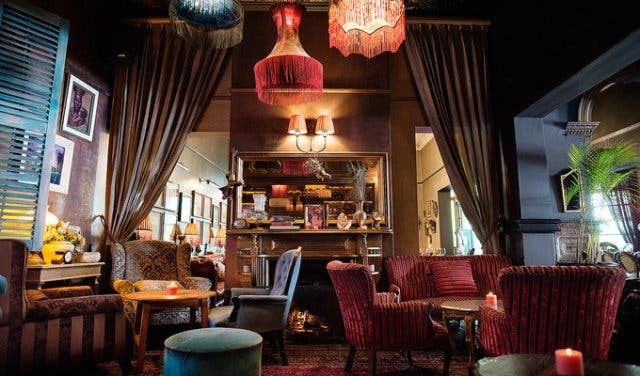 Get the details about the mysterious Dark Horse bar in Kloof Street. The second branch of Lekker Vegan is opening in Kloof Street. 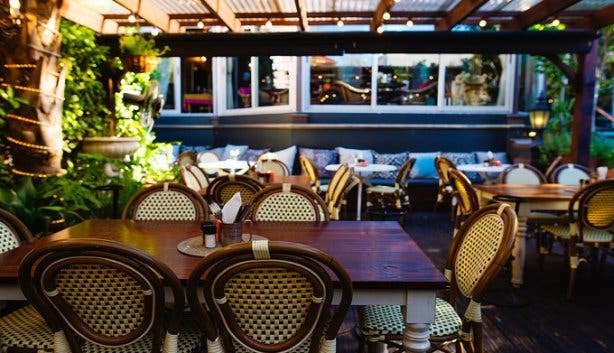 Eager to read more about one of Kloof Street’s other gems? 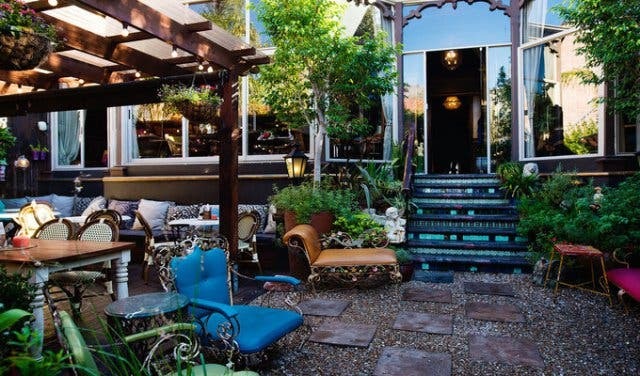 Here’s the lowdown on Asoka restaurant and bar in Cape Town.